Fantastic fishing during a mixed weather week but they could fish every day. Vast numbers of cod with lots 20 to 30 pound plus. 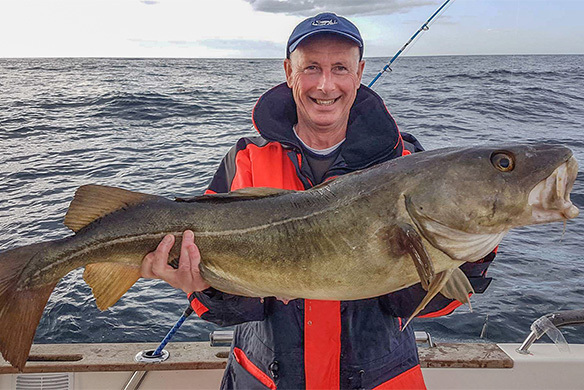 One mark had 30 meters of water and 20 meters of cod !!! 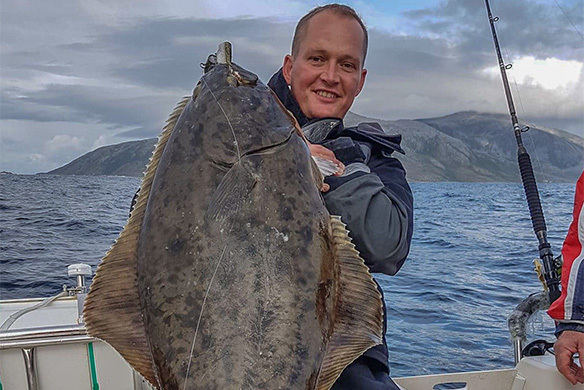 Everyone landed halibut too with Gordon’s biggest weighing 70 pounds. Great accommodation, faultless staff and well maintained Arvor boats. Needless to say they will return for sure in 2018. 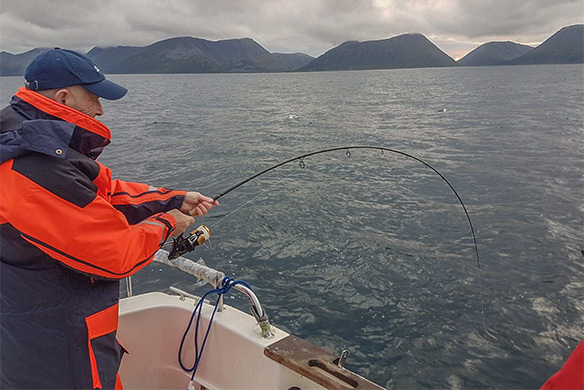 This entry was posted in Norway and tagged Torsvag Norway by anglersworldinfo. Bookmark the permalink.